When I read that we were scheduled to make Morning Glory muffins today for the 4 Weeks to Fill Your Freezer series, I was pretty excited. 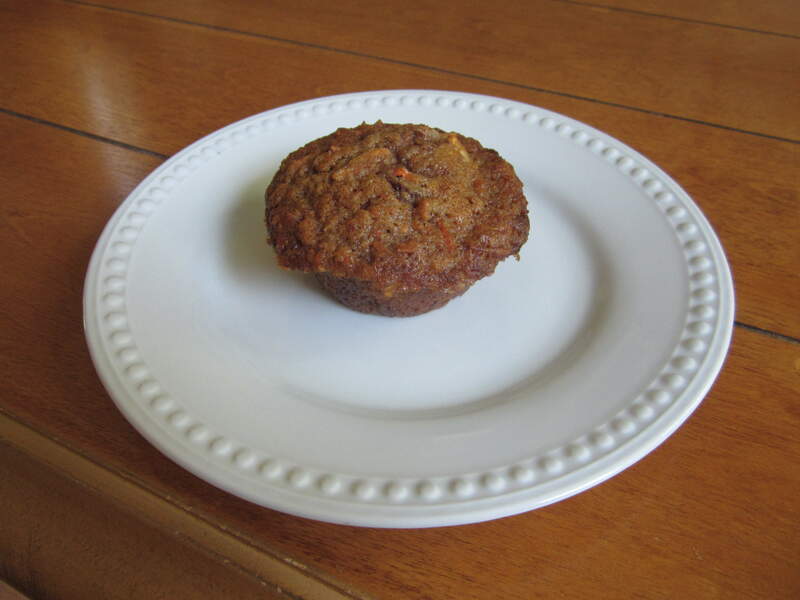 I had never made these muffins before…never even eaten them before…but they seemed so healthy because they are packed with fruits AND veggies! I had totally forgotten to buy carrots at Aldi yesterday, but thankfully, I had some baby carrots in the fridge already. 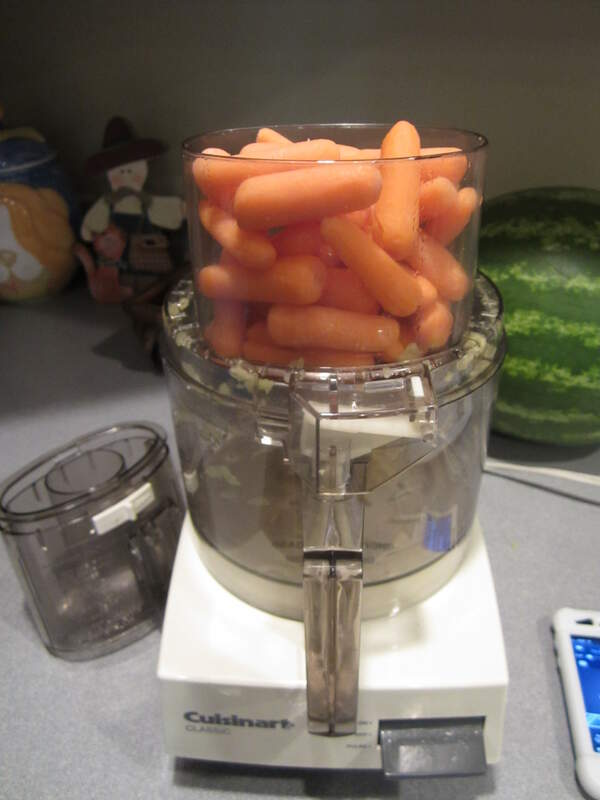 There was no way I was grating those by hand (LOL), so I got out my food processor and used the grating disk….it took just seconds and the carrots were all perfectly grated. I did the same thing with the apple! 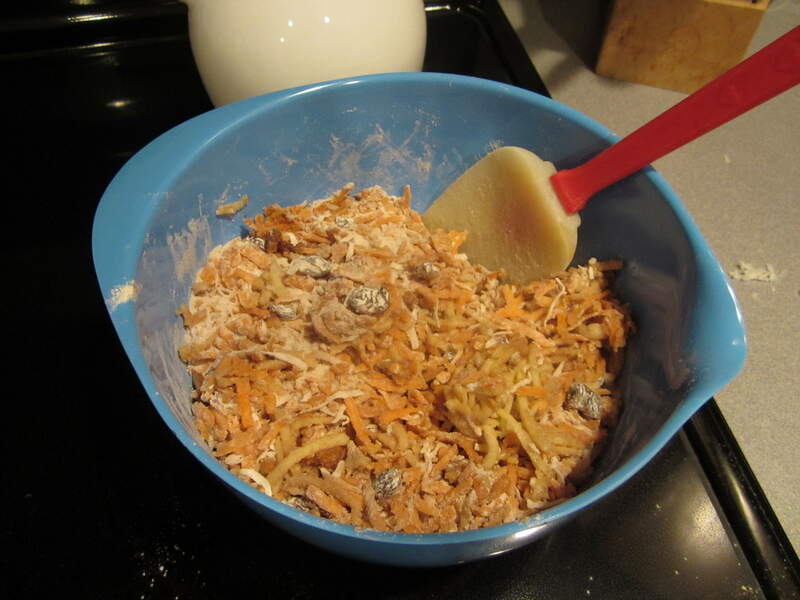 I mixed up the dry ingredients to make it a bit easier to mix when I added the wet ingredients. It looks good already, doesn’t it? 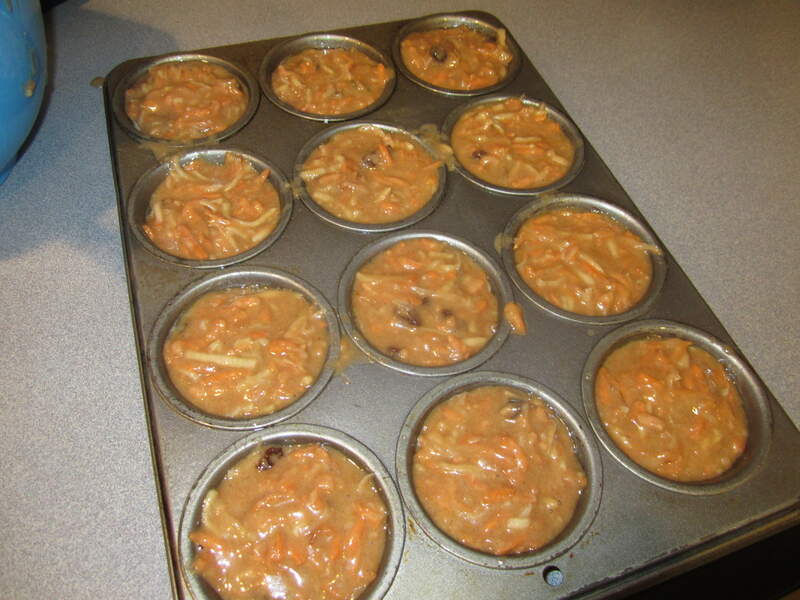 The recipe didn’t say how full to make the muffin cups, but since there are so many carrots, apples, and raisins inside, I didn’t think they would rise too much. I filled them to the top and they baked up just right. My kids tried them tonight before dinner, and they weren’t a big hit. It looks like my husband and I will be the only ones eating these beauties! Have you made anything for the freezer this week? 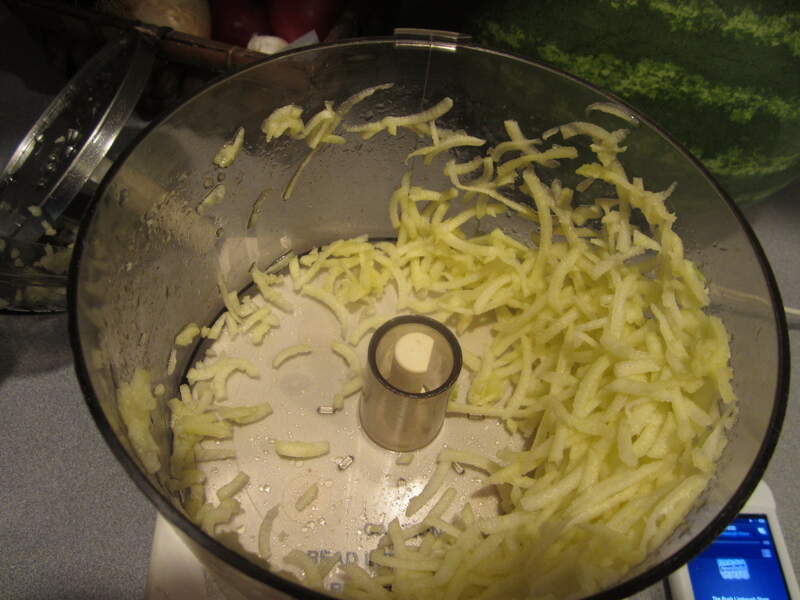 Thank goodness for a good food processor! Ha ha…you said it Lydia!! I was out of carrots so I made muffin mix. So now I am ready to make some muffins the next time my son asks for them. I almost bought a cuisinart like yours at an estate sale this past weekend. 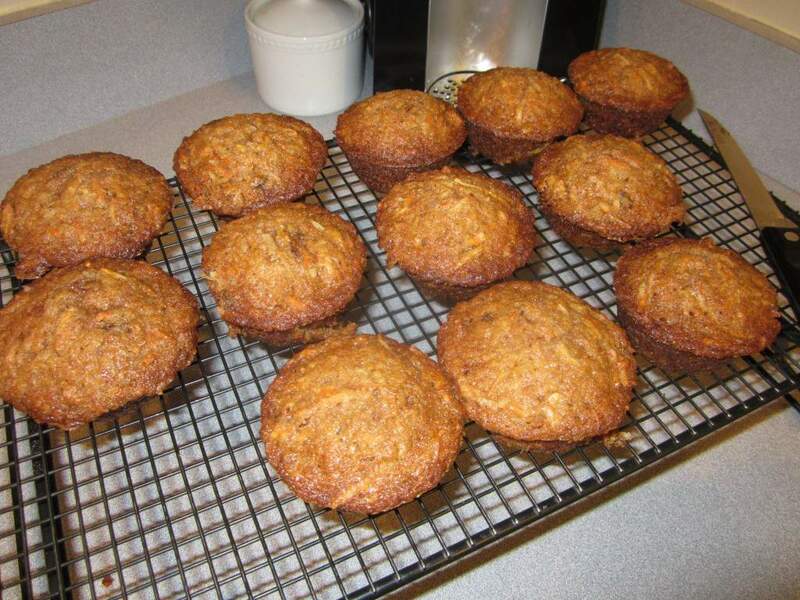 I am sorry your kids did not like the muffins. Was it a texture thing? I’m not sure why they didn’t like them. Probably because there was no chocolate inside! Bummer that your kids didn’t like these. I’ve been USING all my freezer meals this month instead of making them. It looks like things will slow down after the holiday and I should be able to start refilling my freezer. Did you like the muffins, Erin? I’ve made a different morning glory muffin recipe in the past and looking for a new one…hoping this is it as I’ve been meaning to try Crystal’s recipe! Have a great day!